Development is only the beginning. Once you’ve fortified your app, it’s time to market and distribute it. Fortunately, a slew of options exist. As your app is featured, you’ll gain traffic, conversion and more downloads. Certainly, however, every process takes time. Your app deserves all the attention you can give. It also deserves the world’s most up-to-date strategies. Mobile users currently spend approximately 89 percent of their time on mobile apps, impacting the industry through a very distinct channel. 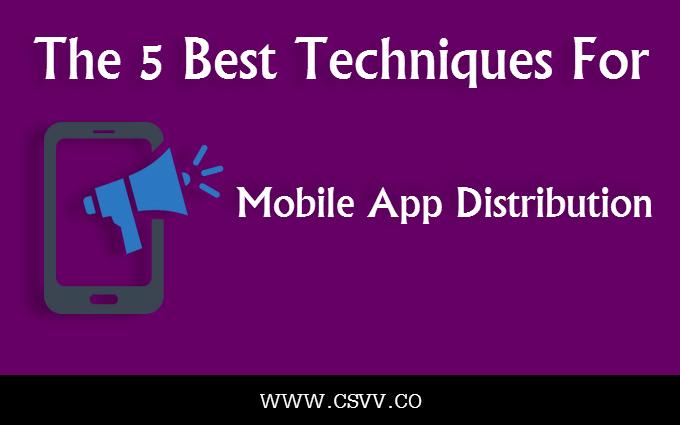 Check out the top five techniques guaranteed to boost your app’s marketing and distribution efforts. Sure, you’ll have to pay for it, but the benefits greatly outweigh the costs. Pre-loads are one of the best distribution resources for apps. Pre-installed apps are often in the top 10 used apps on a device. Even if your mobile app is a demo, it still contains the ability to drive conversion rates. While revenue may not facilitate a pre-loaded app right away, pre-load status should be your endgame. Visibility is one of marketing’s core attributes. Often, free downloads boost distribution numbers right out of the gate. Giveaways also increase the number of apps without advertisements, granting premium users exclusive experiences. Registrations, catches and promotional material aren’t needed. If your app has ended its development cycle, offer a giveaway to enhance visibility and maximize your mobile site’s traffic. While nothing under the sun is free, you can turn giveaway expenses into long-term conversion platforms. A call-to-action is the marketer’s bread and butter. A social call to action—even more so. Right now, 60.3 percent of Facebook’s mobile users are sharing social content. Alongside the 139 billion Facebook users currently active, such a percentage is difficult to ignore. Social interaction drives the modern internet, and your mobile app should take a slice of the pie. Social word of mouth is one of the top base-building engagements marketers can partake in. Social shares, a social call-to-action, quizzes, reviews, videos and other multimedia can be combined to create extensive marketing platforms. App stores are your primary distribution channels, and they shouldn’t be taken lightly. Your app should contain valuable keywords, and they should feature eye-attracting descriptions. Here, relevancy is your friend. While app store engagement may seem like a minor factor, it definitely isn’t. Your app’s design should be store-friendly. It should be presentable, and its features should prioritize primary benefits. Distribution, first and foremost, requires unique attributes and amenities to reach its full potential. Your mobile app should be partnered by an HTML 5 version. Wide distribution occurs when audiences beyond ordinary mobile users are targeted. Upload processes shouldn’t be too difficult when descriptions, graphics, installation notes and features are streamlined. Really, a web application should be your first secondary channel to target. HTML 5 app version are capable of emulating a mobile app’s design, featuring powerful home-screens, features, click-to-install options and major functions. If you’ve created an effective mobile web app, users will likely hop into your main platform, crossing marketing channels and empowering your campaign. Distribution and marketing strategies take work, but consistency pays off. Remember: Track your app’s distribution process. As users download, share and leave reviews, powerful analytics will jumpstart your campaign. They can even sustain it. Measurement should exist at every distribution level, so as to categorize your app’s main benefits, marketing downfalls, distribution priorities and target markets. Development, while a first step, will only drive distribution when navigated correctly. Sophorn works at Inboundo, an inbound marketing agency that helps companies attract visitors, convert leads, and close customers.